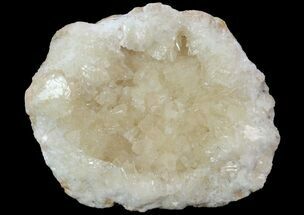 This is a sparkling portion of a calcite crystal filled geode, collected from Aouli, Morocco. 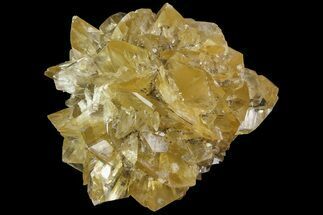 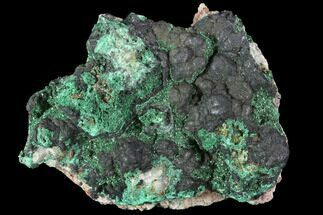 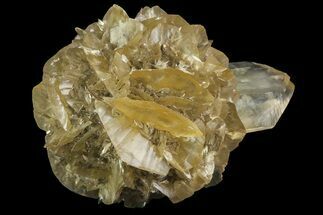 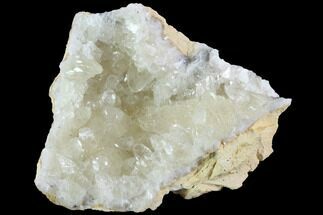 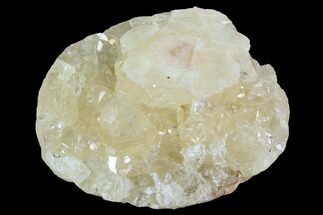 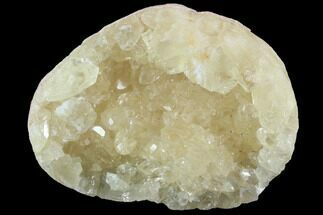 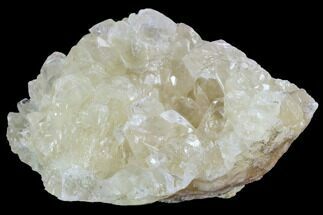 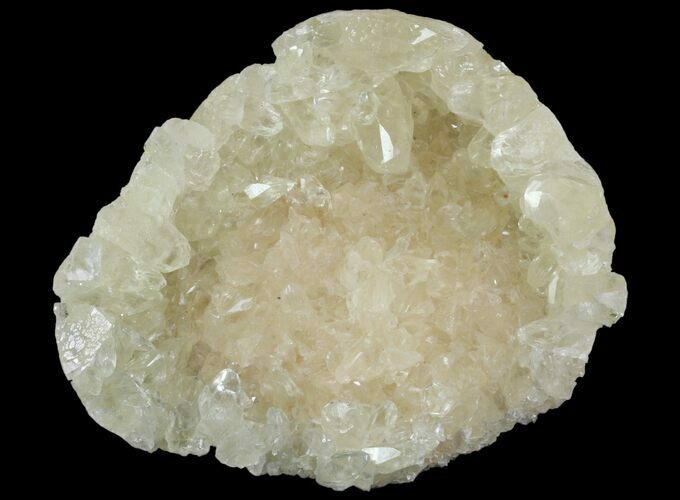 The calcite crystals are all beautifully formed and have a faint yellow coloration. 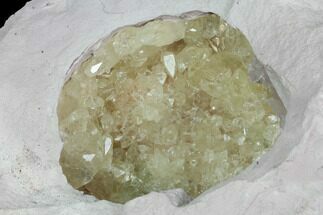 Under UV light, the crystals fluoresce the typical orange color seen by other calcite specimens.